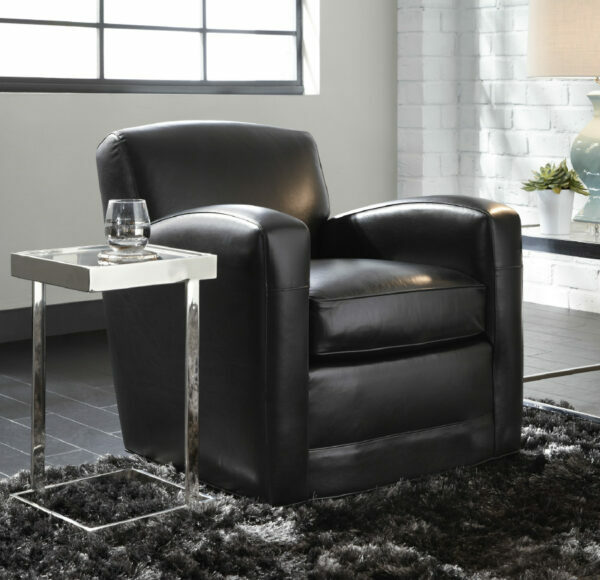 Modern take on a classic streamlined club chair. Tapered legs are minimally elegant while being solid and substantial. Arms are gently arched for comfort and are echoed by the shape of the back. 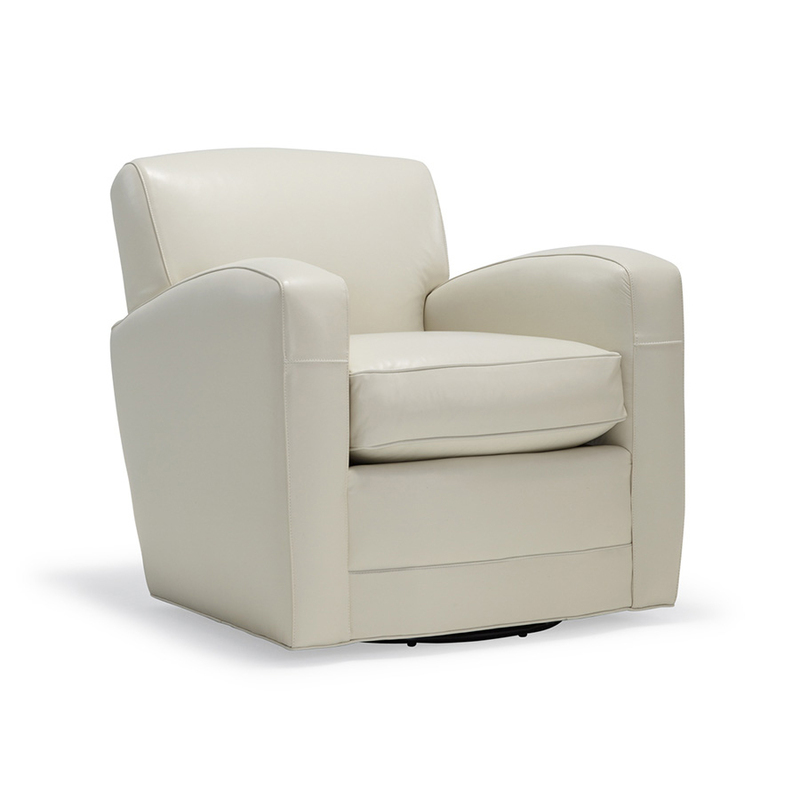 Tight back is pitched at a comfortable supportive angle while the loose seat cushion is both plush and resilient. Available as Return Swivel or Full Swivel in 300+ fabrics and leathers.